From the epic trilogy The Lord of The Rings comes this officially licensed sword of King Theoden of Rohan, Herrugrim. The Herrugrim sword features a 27-1/2" heat-tempered 420 stainless steel fullered blade with genuine leather hilt wrapping and antique-finished brass hardware. 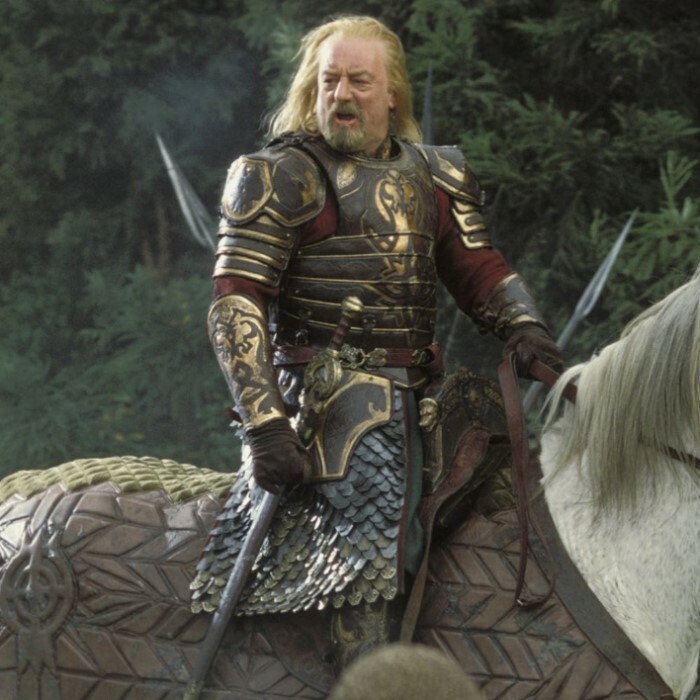 Just like the actual filming prop used in the trilogy, the this Herrugrim replica sword features opposing horse heads on the guard. It is the exact size of the film prop at 36-1/2" in overall length, and it comes with a wooden wall display plaque. Like all LOTR collectibles, it also includes a Certificate of Authenticity. 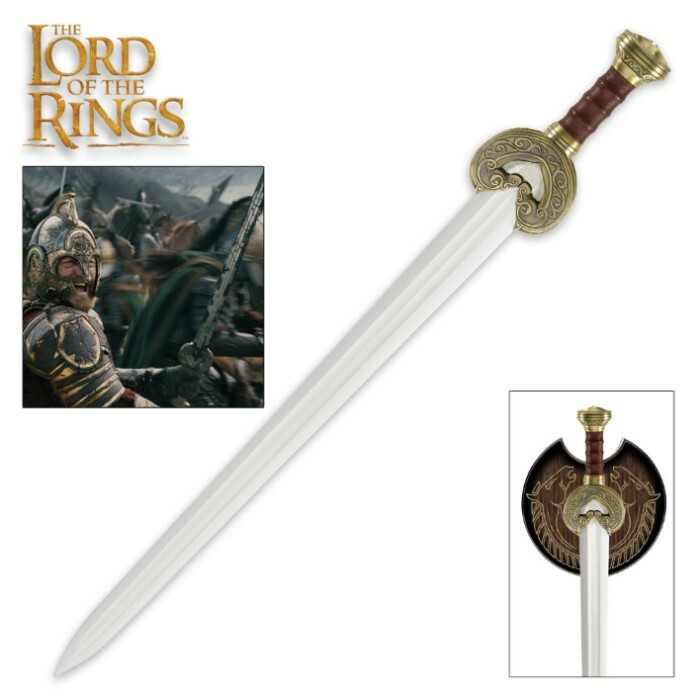 This is a great lotr replica sword, I won it from Budk and got it yesterday. 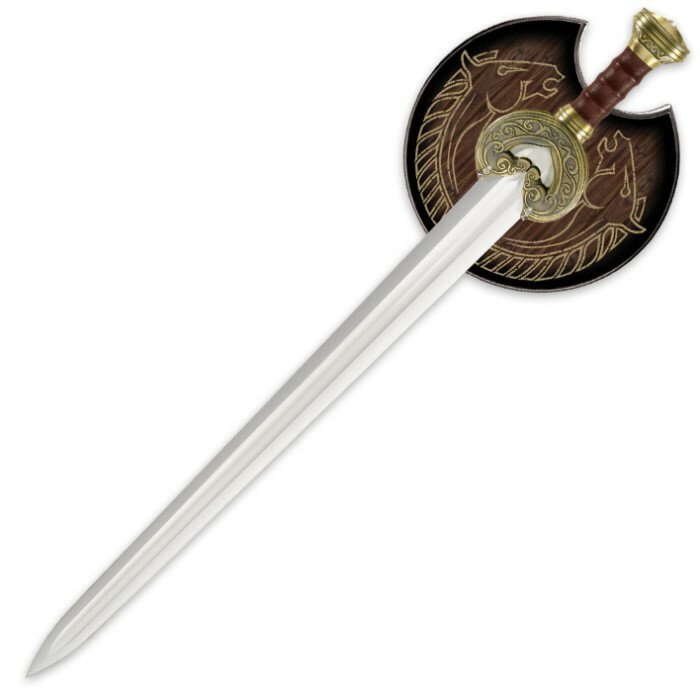 The sword has a nice feel, nice leather wrapped handle, and is very heavy. The one problem I had is that there is a wooden peg that was supposed to come with it to put on the plaque, but mine didn't have that, this isn't budk's fault, and I can just make one. Heavy sword for the size of it and very nicely detailed. The brass looks fantastic and the blade of the sword is very wide. UC did a great job on this unique sword.